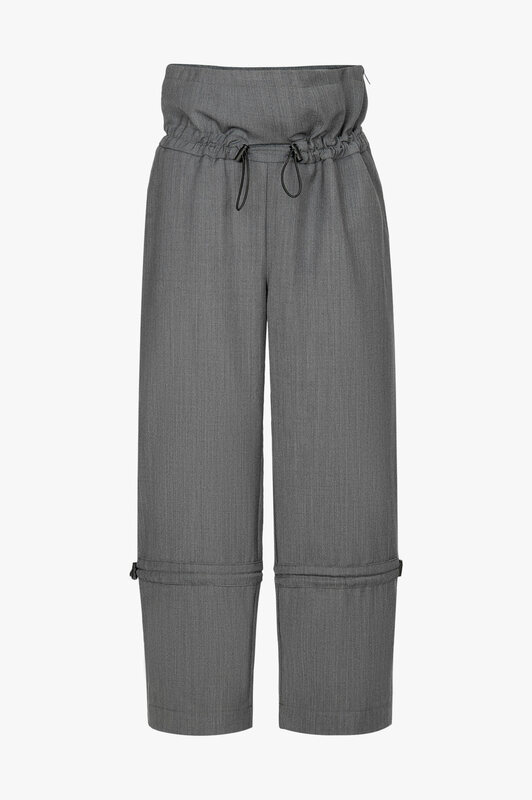 Straight cut cropped trousers in gray color. High-wasted trousers fastened with the hidden zip on a side. Trousers length is above the ankles. Also, there are three functional design details on the garment that give the unique sense of styling. One of the details is at the waistline and the other two are on the bottom of the trousers. They can be shaped and modified with elastic bands and plastic fixers. Moreover, there are two side pockets that add fuctionality to the garment. 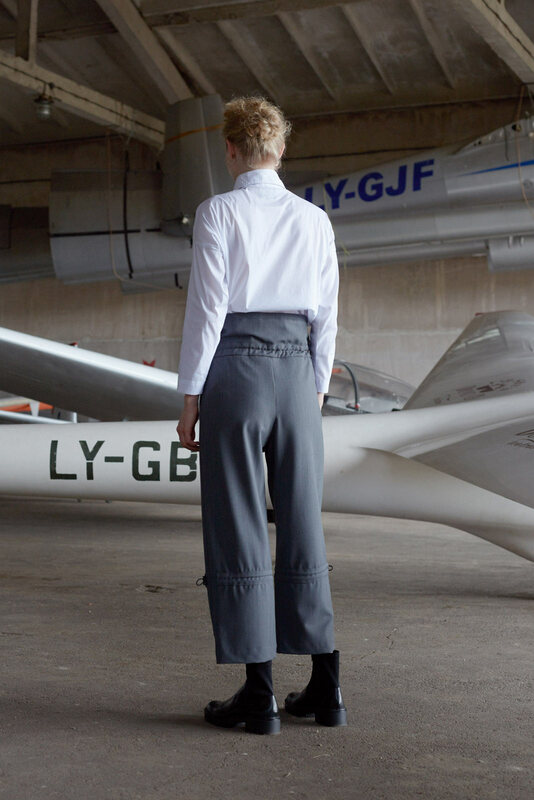 Because of its’ unique design trousers go well together with the classical accessories and can be worn for both formal and leisure time occasions.